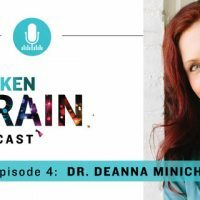 In our fourth episode of The Broken Brain Podcast, Dr. Minich and Dhru discuss the relationship between food and mood, and how what you eat can increase your creativity, curiosity, imagination, and well being. Improving your day to day life could be as easy as adding colorful foods to your shopping cart the next time you go grocery shopping. We’ve all heard of phytonutrients—in this podcast Dr. Minich will describe exactly how each color of our foods impacts different parts of our bodies. Having trouble with your memory? There are foods that can improve that! Having fertility issues? The answer, again, could be in the foods you eat. You’ll also learn how different foods can help produce neurotransmitters, what to do if you have food sensitivities, and why essential fatty acids are just that, essential, for brain health. 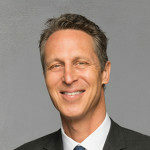 I hope you will tune in to hear how Dr. Minich explains how incredibly important a wide variety of colorful foods are. PS: To check out more of Dr. Minich’s work, please visit her website.